He’s shifty and nervous, with big bug eyes and a bandaged, broken tail (which, you’ll learn if you watch enough of his YouTube videos, is the result of some careless behavior on the train tracks). 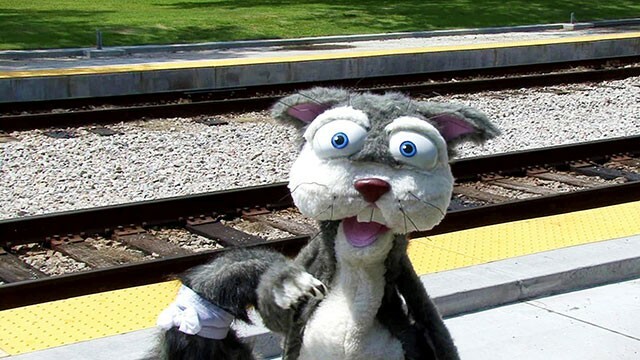 We think he might be suffering from PTSD, and he spends his time yelling at people to STOP before they cross the tracks and warning kids that what happened to him could happen to them if they play too close to the tracks. Tie is an alarmist, a basket case and he’s almost certainly suffering from an anxiety disorder, and for these reasons (and more) we adore him.